INTERESTED IN BECOMING A TRIP LEADER OR FACILITATOR? Outdoor Programs facilitators and trip leaders play a critical role in outdoor education here at Kalamazoo College. Throughout the year, Outdoor Programs invites College campus members who are seeking leadership opportunities and have an interest in outdoor education to apply to become a trip leader or facilitator. Regardless of their relevant experience, Outdoor Programs wants to offer supportive, fun, challenging, and rewarding programs all while providing opportunities for campus members to gather experience for their own leadership development. Attend the Spring Leader Training during Spring Break, which includes Leave No Trace Trainer, Wilderness First Aid and CPR certification. The cost is $50, which is returned to you if you lead 2 or more field days for the Outing Club during spring term. Attend a Level I training in the skill area that you wish to lead (the Spring Leader Training counts as a Level I training for hiking/backpacking). Individuals interested in leading paddling trips should register for the Intro to Canoeing PE course offered spring term, or attend the June Paddle Training which occurs directly after finals in the spring. Registering for Outdoor Programs and Outing Club trips as a participant is a great way to gain skills in new activities and build proficiency with outdoor leadership concepts before moving into an Apprentice role. Candidates can apply to become Apprentices after completing a Trip Leader application and gaining foundational skills in an activity in order to adequately manage yourself in the type of terrain or activity you intend to Apprentice in. This could be gained on personal trips, institutional trips and OP Trip Leader Training trips and workshops. Individuals will usually need to Apprentice within a skill area on at least two trips or achieve comparable experience before becoming Assistant Trip Leaders. It is also expected that Assistant Trip Leaders become certified to drive college vehicles if they meet the college’s minimum requirements. Trip Leaders have acted as an Assistant Trip Leader in a specific skill area at least two times or gained comparable experience. Once an individual has become a Trip Leader in an activity, she or he is able to plan and lead trips during the quarter on her or his own. For longer and more remote trips, such as many break trips, Trip Leaders may need to gain additional experience and training, such as acquiring Wilderness First Responder, before becoming a full trip leader. Becoming a Trip Leader Trainer involves serving as a lead Trip Leader within a skills area on several trips in a variety of environments and having a thorough understanding of Outdoor Programs policy and procedures. Trainer roles are reserved for student leaders who have achieved the highest level of experience and training with Outdoor Programs. Didn’t find what you were looking for? 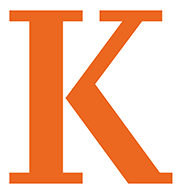 You can access more information about leadership positions at K on our LandSea website!